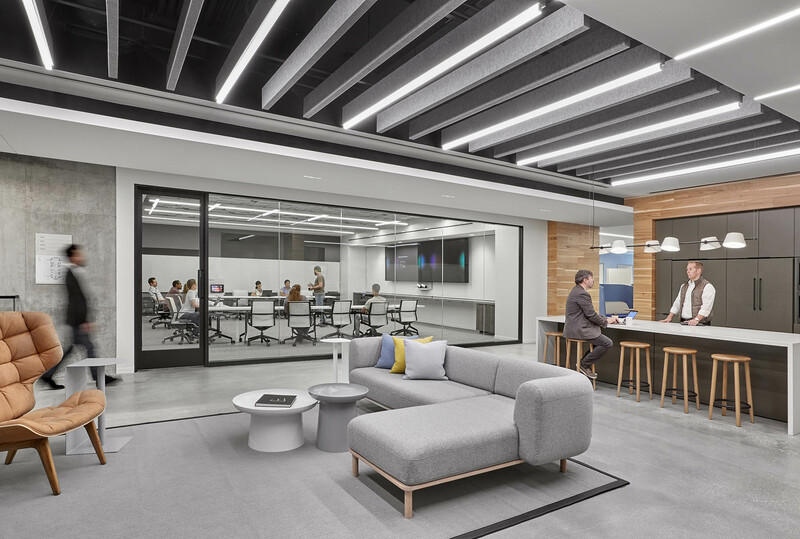 SoundBar™ acoustical baffle & lighting system delivers high performance noise reduction and sleek integrated illumination in a single cost-effective, versatile product. 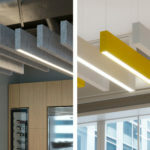 Choose from an assortment of lengths, widths, and depths, in Up, Down, or Duo lighting configurations, with power integrated into its suspension cable, simplifying install and removing the unsightly clutter of cords. 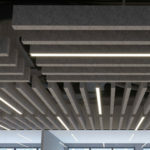 Its Arktura Soft Sound® acoustical material construction makes SoundBar™ capable of achieving NRC ratings of up to 1.15. Units are available in a wide range of colors, including wood textures, and can be easily mixed and arranged as desired to achieve an endless array of dynamic layouts. Use SoundBar™ to bring an impactful combination of style and function to your next project. *Discounts available based on project quantity. Contact your local sales representative for pricing.